In 1852 the Accademia dei Georgofili of Florence instructed a commission to found a Horticultural Society in Tuscany. This commission led to the birth of the Tuscan Society of Horticulture. In 1862, this society opened a garden in northern Florence that displayed some of the area’s most beautiful flowers and fountains. One of the most iconic and popular structures in the Botanic Garden is the 24 cast-iron columned tepidarium that serves to shelter plants inside from subtropical and temperate climates. This is without a doubt the gardens most spectacular structure. 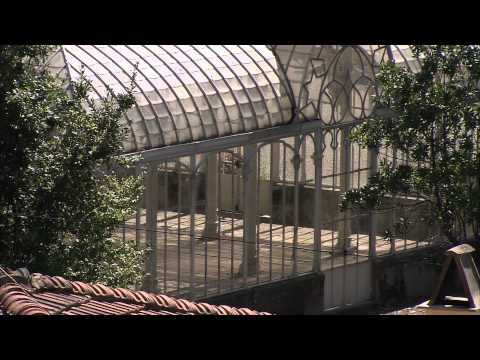 Since it’s inception in 1880, the tepidarium stimulated the interest for botanical research and experimentation in greenhouse cultivating.Starting in WWI, the gardens and the Horticulture Society of Tuscany suffered a period of decline. However, in 1930, the gardens were purchased by the city and underwent extensive restoration. Today, after even more recent reservation, the garden is as beautiful and inviting as ever. The city has even added a a big stone snake shaped like a dragon that is quite reminiscent of Gaudi’s Salamender in Parc Guell. Overall the Horticultural Garden is a wonderful place to take a walk, take a nap, or even have a picnic to enjoy the beautiful scenery of this popular park. Feel free to enjoy a soccer match with friends or just simply sit back and smell the floweres. Take a day trip, get away from the city, and get lost in the many paths and walkways that meander through the beautiful and historical horticultural gardens.